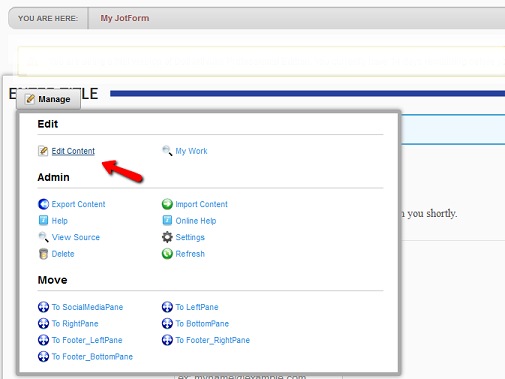 Adding JotForm forms to DotNetNuke page is pretty easy. After creating your form, follow this steps to get your form's iframe code and embed it in your DotNetNuke page. 2. Click the "Publish" button in the toolbar. 3. In the Publish wizard, please go to the "Embed" tab. Choose "iFrame" in the Embed Options list. Click the green "Copy Code" button at the bottom in order to copy the iFrame code. 4. 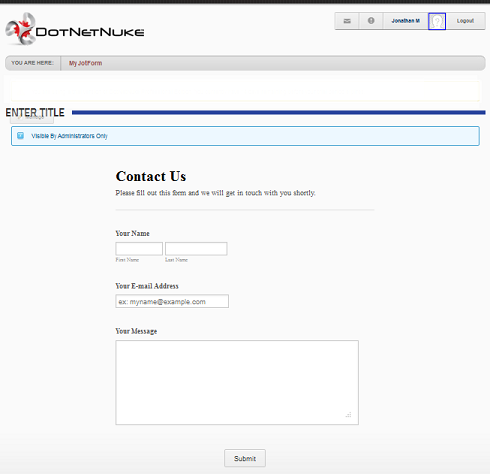 Login to your DotNetNuke control panel page. 5. 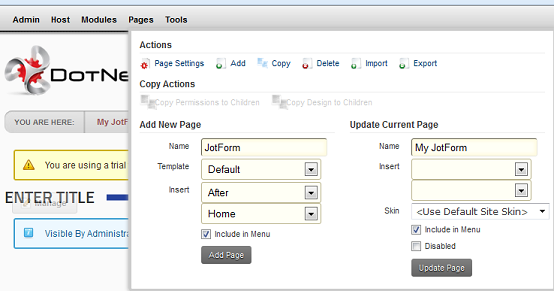 If adding a New Page, in the control panel, select Pages/Action and Add the page. 6. 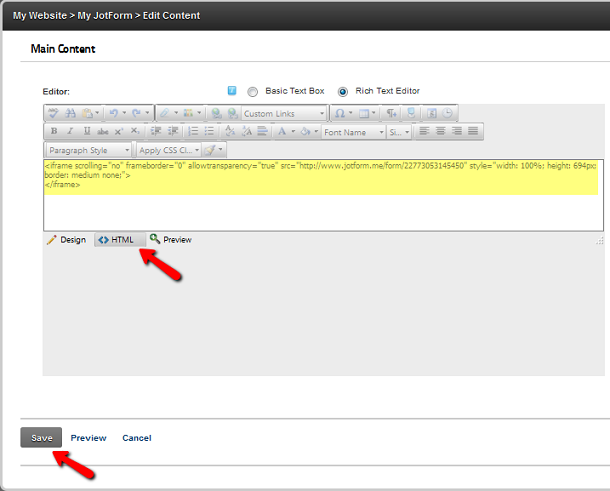 If editing a Page, click on Manage button and select Edit Content. c. Paste your Form Embed code. d. Click Save button to save the page. This will also close the Editor. That's all. Go to DotNetNuke Preview Mode to see your form. *** Note: DotNetNuke does not allow other scripts except iFrame when embedding in the page HTML editor. Thanks for the information you have shared with us. Dotnetnuke is easy to use. It's so flexible and secure. I enjoyed reading your article. Looking for the new updates. These instructions don't seem to work as they should! I'm using DNN 7 and have embedded the code into the page module. It shows up on the page - but almost all of the form doesn't show up! Go to http://www.tuningfork.ca/po and you'll see what I mean. Horizontally, the form displays properly. But vertically, the majority of it is cut off. Perhaps the code needs some tuning. What is your best SaaS-based CMS with minimal issues for jotforms? What does a site visitor see if we are over our submission quota? Does this work with DotNetNuke?